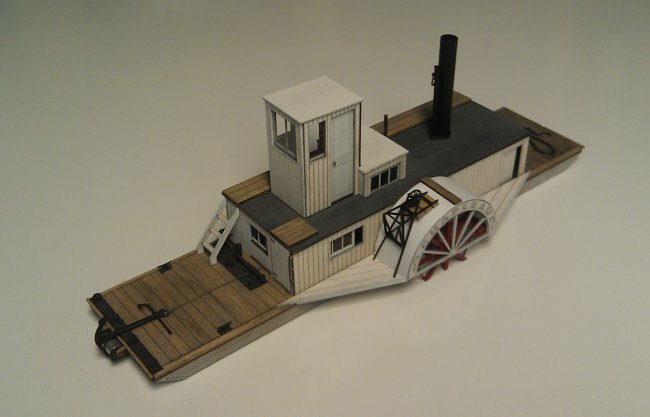 Baby Alligator Warping Tug "Chapleau"
Now Available in O Scale! Future Project in HO and S Scales! This is the original paddlewheel version of the Baby Alligator warping tug No. 77 "Chapleau" built in 1907 by West & Peachey (Simcoe, Ontario). For additional information (including videos and photos) on the West & Peachey Tugs, please visit the Ontario Visual Heritage Project at http://www.visualheritage.ca/norfolk/alligator.php.